Veteran’s Day is Nov. 11, but to these two canines, every day is a day of gratitude for those who have served our country. Pups Norman and Keith were both trained by Southeastern Guide Dogs, a Florida-based non-profit that trains guide and service dogs free of charge for veterans and others who can benefit from the independence these amazing animals can provide. PEOPLE talked to two vets who have benefited from Southeastern Guide Dogs’ services. 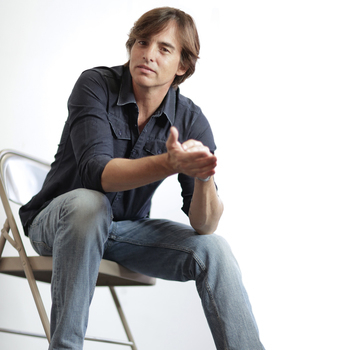 Keni Thomas is a combat veteran of the 3rd Ranger Battalion, fighting in the battle of Mogadishu — a fatal raid that inspired the book and film Blackhawk Down. After surviving this event, Thomas, 53, went on to serve for three more years, working as an assistant team leader for the Ranger Reconnaissance team. Today, the “disciple of servant leadership” uses his experiences in the military to inspire and motivate others. “I get to be a the keynote speaker for about 100 events a year. I tell the story of my squad in the Battle of Mogadishu and use it to preach the importance of leading by example and taking care of those around us,” Thomas tells PEOPLE, adding that he is also an instructor at the Downrange Leadership School. By his side at these events is his service dog Keith, or “Key,” as Thomas calls him. Now, Thomas can’t imagine his life without the unshakable “rock star” best friend, but it took the veteran a while to get “past my own ego” and let someone help him care for the invisible scars an event like Mogadishu can leave behind. After years of thinking he wasn’t the right fit for a PTSD service dog, Thomas was convinced by his friend Admiral Joe McGuire, who was on the board at Southeastern Guide Dogs. Thomas applied and was accepted to the organization’s training program, which found him the perfect canine partner. “How do you explain an unbreakable bond that you can absolutely count on? You know it when you feel it, but it’s hard to describe,” Thomas says. The Labrador retriever was that “absolute,” Thomas adds, providing him with the strong, devoted, understanding center that veterans can struggle to find when they leave active duty. “He slows me down. He makes me accountable. He keeps my upbeat He makes me engage with people. He’s always there. Key’s the ranger buddy I was missing,” Thomas shares. Another life changed by Southeastern Guide Dogs is that of Taya Kyle, the widow of Chris Kyle, a United States Navy SEAL veteran and sniper, who went on to write his autobiography American Sniper, which later became a film starring Bradley Cooper. After her husband was murdered in 2013, Kyle was understandably grief-stricken. Chris’ death brought on anxiety, depression and stress. Kyle, 44, who is a public speaker and executive director of the Chris Kyle Frog Foundation, found that she was expected to be “on” during events while also attempting to cope with her shattering loss. After getting to know a veteran’s service dog while on a speaking tour, Kyle began to appreciate the healing power of service dogs. Through Southeastern Guide Dogs, Kyle met Norman, a “goofy, mischievous and loving” canine devoted to helping Kyle work through the agonizing feelings that accompanied her husband’s death as an emotional support animal. “I have healed from the emotional pain that used to consume me, so now he is a family pet. I am grateful for dogs like Norman who are trained to get people through the hardest parts of life,” Kyle tells PEOPLE. Norman was one important part of this healing process, and Kyle encourages anyone struggling emotionally to seek out all the outlets they need to heal and grow. “There are so many avenues to healing. I encourage people to think outside the box and not quit until they find the solution that works for them. Physical exercise, stretching, meditation, acupuncture, EMDR and ART therapy are all methods I have used in addition to having a therapy dog, a horse and the more traditional methods of Western healing and talk therapy. The dog is one component and a beautiful loving one at that. You may not need them as therapy forever, but the right match with a dog is a beautiful thing to assist you through the roughest spots,” she says. Both Thomas and Kyle stress that seeking out the help of service dog can be one of the best decision you can make if you are in need. “I have heard stories from some people who struggle with the idea of a service dog because they see it as advertising a weakness. A lot of times we don’t think our pain is enough to warrant help. What I have learned is, asking for help takes courage. Getting the help you need to fully heal is brave because it requires you to face what is broken. Doing whatever it takes to mend is a gift to those around you as well,” Kyle adds. To learn more about Southeastern Guide Dogs, visit the organization’s website. "Not Me" Featured in the new Country Faith Album, Available Now!